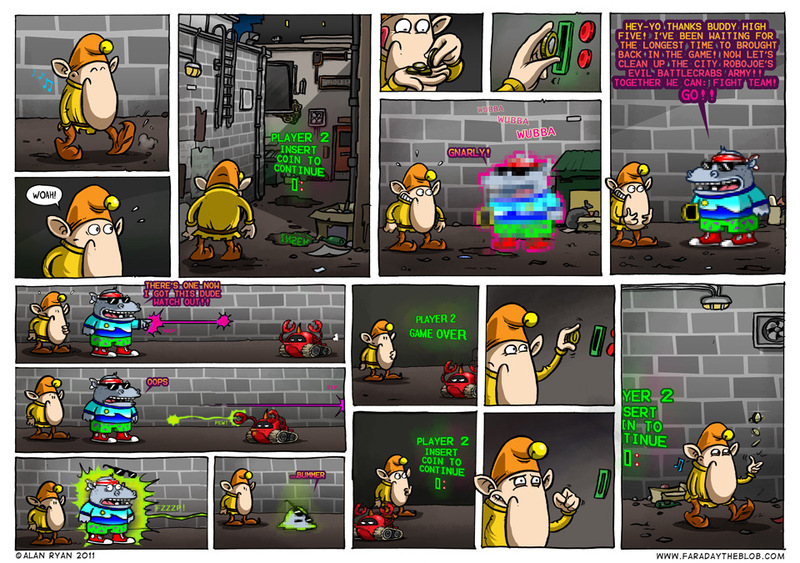 This entry was posted on Tuesday, June 14th, 2011 at 2:08 am and is filed under Comics. You can follow any responses to this entry through the RSS 2.0 feed. You can skip to the end and leave a response. Pinging is currently not allowed. That’s the most radically extreme dude of all time! He is terrible at that. Helen - Hrm… I may bring ‘Player Two’ back in the future… I kinda like him, even if he is an idiot. bman - Game over, man. Game over. Amazing work. I love the pixelated effect on the hippo. Cheers Justin. I have lots of comic ideas that require liberal pixellation (a love of old video games y’see), so I’ll have to space them out.